I am completing CIDESCO International Beauty Diploma. I am so greatful that I have chosen this school, rather than any other. Teachers are amazing, Dr Skoryk and Mrs Marley are the very best and they give you a very deep knowledge of everything you need to be able to start to work in beauty industry or even to start your own business. Owners and the management are very helpful and approachable and they are willing to help with your future career, giving you advice to help to find your way of this new journey. 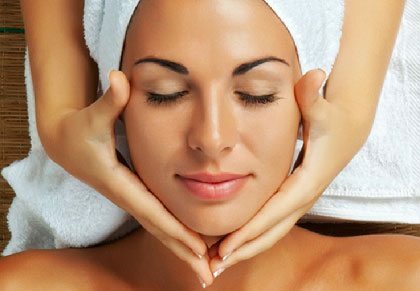 Students have the availability to work on client day which gives you lots of practice and helps to learn how to deal with different clients and situations.This prepares you to be able to start to work immediately after you finish as you gain experience in doing facial & body treatments and also in client care. I have not finished CIDESCO course yet but I have got already a very good job in a Dermatology Clinic.We had 100% pass mark in our class for CIBTAC International exam, both theory and practical which shows how successful is the way they teach and train the students. I can highly recommend this school for everyone who is thinking to join and start a new career within Beauty industry. I am diffidently recommended The Ray Cochrane Beauty School . As I did compelet my Level 2 Beauty therapy successfully with Flora , I am so happy and I feel so confident all because of an amazing teacher , Flora is a great teacher and she did teach each of us really well , she is so helpful , kind and friendly . She has great knowledge in all topics which she taught us , she was always willing to answer any questions . I am appreciating her because she is the reason I am in this stage . I am doing my Cidesco course and really enjoying it as Mrs Marley and Dr Skoryk are very wonderful and very helpful. I am glad that I chose this course at this college. Honestly you can get really good help and get all the knowledge you need for future work in beauty industry and be professional in what you are doing. I would definately recommend the Ray Cochrane School of Beauty. I undertook the Laser and IPL course 2 years ago. The teacher Eleonora was excellent, well informed, professional and always willing to answer any questions I may have had. As you only attended one day per day week this can be suitable for people who work or have other commitments. I really enjoyed my time at Ray Cochrane, our tutor Karina was amazing, very patient and made sure we all understood everything we needed to. I definitely recommend. I did my level 2 & 3 at Ray Cochrane’s last year. Fantastic school, I’ve had a great overall experience. Teachers and staff are really helpful and supportive.Made some great friends with people that think alike. I’ve had a number of job offers since I finished my course but waited for the best one. I’m going to start work soon with a globally recognised brand that have their clinics in the UK and abroad. Thank each one of you at The Ray Cochrane beauty school. I’m looking forward to enrolling for level 4 Laser with you’ll soon. I attended my course NVQ level 4 hair laser removal & Ipl. The help and advice of the teacher was excellent . I will recommend your school .Thank you.